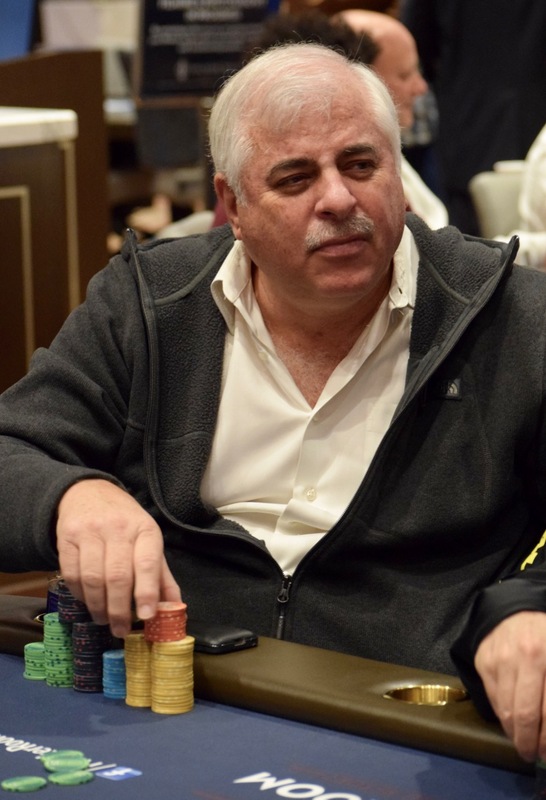 There's 7,200 in the pot preflop in a bidding challenge between Al Sanchez and Ed Lewis, two players who are not well-known for their ability to fold easily. Sanchez makes it 3,500 to go on the flop and Lewis moves all in for his last 45,325, a few 1k chips more than Sanchez has. The flop doesn't look like one to draw this much action, but Sanchez finds a call and doesn't like what he sees. The board runs out and the dealer confirms Lewis has Sanchez covered.